The 2015 Marist Rugby Dinner Dance will be a ‘Night of Glamour’ which will see guests walk the red carpet into a fun night of fine dining, music and cheer. Starting with pre-dinner drinks at 6:30pm, the evening will include a three course meal, free drinks, music from Complete Entertainment and photo booth to capture all the glamour of friends of the Club and their invited guests. We have moved away from a more Rugby-centred approach of former dinners so that guests can let their hair down and have some fun at the end of a busy season. The ‘Rugby Nuts’ will be able to look forward to the rugby trivia night at the start of next season. There will be an opportunity to win a number of prizes on the night. If you organise a table of ten for the dinner dance you will not only receive a discount on your ticket, but will also go into the draw for a fantastic table prize on the night. There will be lucky door prizes and an auction of a wide range of glamorous products and services. 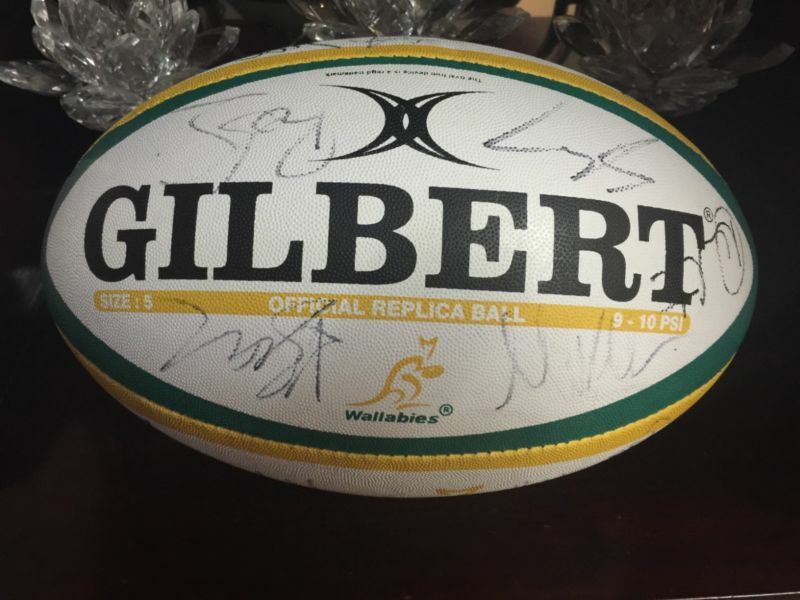 The list of auction items will go live on this site from 17 August 2015 so that you can get organised and be among the winning bidders on the night. The Major raffle draw of $5,000,00 cash will also be drawn on the night. If you are in attendance you will also receive a further $500 CASH BONUS. 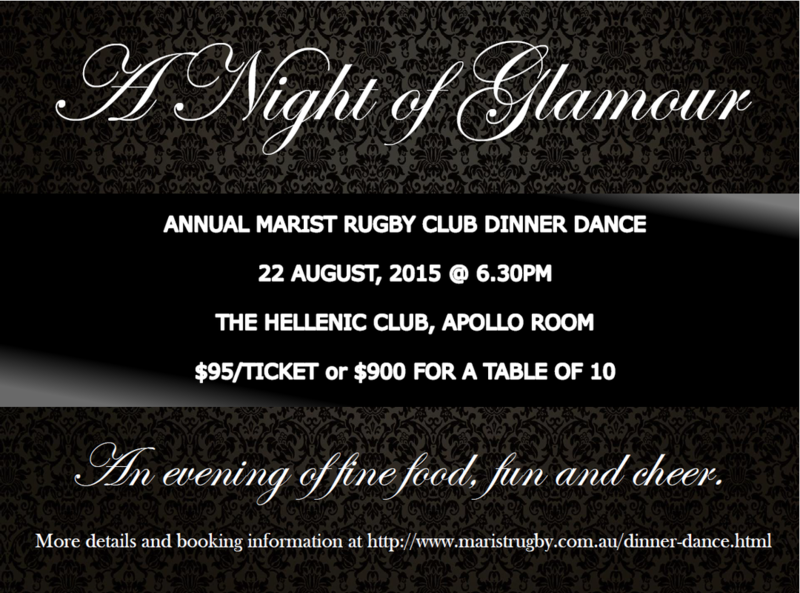 So, get together and get organised to book your team’s tables at the 2015 Marist Rugby Club Dinner Dance. Regardless of which method you use to pay for the tickets, please fill out the Ticket Booking Form below to provide your details, advise method of payment, reserve your tickets and advise of any dietary requirements or any other request you need to convey. Methods of payment include Direct Deposit, or Credit Card via Paypal, provided through a secure server. After you complete the booking form make your payment through one of the options. Instructions on how to pay are below. Pay $95 per ticket or $900 for a table of ten into Marist Rugby Club Bank Account through your bank. Use your surname as a reference. Use the "Add to Cart" link below the Ticket Booking Form. After you select checkout you will be taken to a 'Your Order Summary' page. 'pay with a credit or debit card'. Complete the required information and make the payment. Please advise any other requirements such as "please put me on the same table as X"
Hellenic Club, Woden on 11 May 2019. If you require more than one ticket, add them individually to your cart. 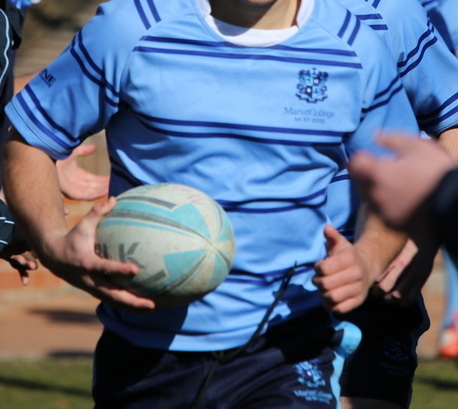 Marist Rugby Club thanks our sponsors and supporters for their generosity and commitment to the Club. 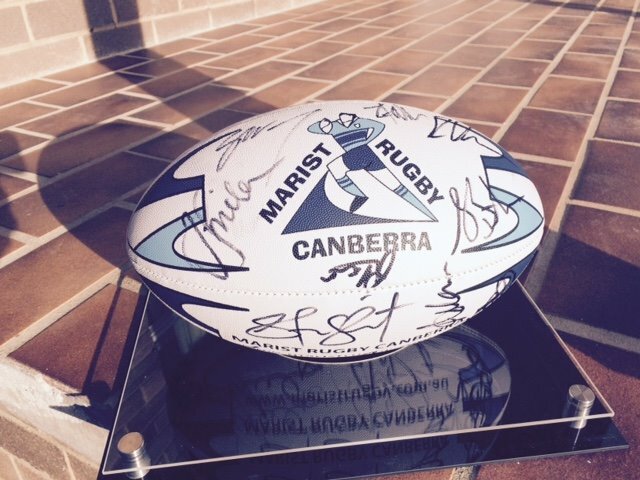 This year we are fortunate that a number of Canberra businesses have gotten behind our auction to show their support for the night and for the Marist Rugby Club. Please find the list of glamorous items that have been provided by our generous supporters for auction through a combination of on-line pre-bidding, then live and silent auctions on the night of the dinner. The winners will be announced on the night. Framed 2015 Marist 1st XV Jersey. One of Canberra’s best restaurants, Ottoman Cuisine in Barton has been wooing diners with its much awarded Turkish food since 1992. 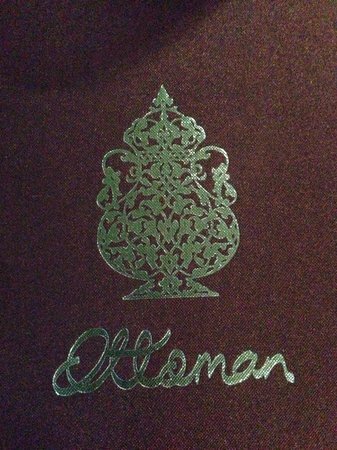 The menu at the Ottoman Cuisine consists of classic Turkish dishes that have withstood the test of time. Elite Physique was created to help people realise their goals and find their inner strength. Pre-bidding (on-line) opens Monday 17 Aug 15 at 6:30pm and closes Friday 21 Aug 15 at 6:30pm. Pre-bids may be placed for Live and Silent Auction items. 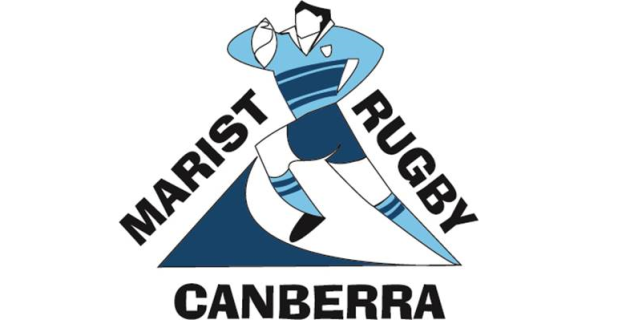 The Marist Rugby Club Dinner Dance Auction will then be run in two-ways: A Silent Auction from 6:30pm to 9:45pm and a Live Auction at 08:30pm. Pre-Bid Auction Rules: Interested parties are able to submit auction pre-bids (in Australian Dollars) by e-mail from 6:30pm, Monday 17 Aug 15 until 6:30pm, Friday 21 Aug 15. Any pre-bids submitted via email to the Club after this time will not be considered. Pre-bids may be submitted using the form below. Pre-bids are accepted with the understanding that higher live auction or silent auction bids on site at the Dinner Dance on 22 Aug 15 will supersede the prior bid. 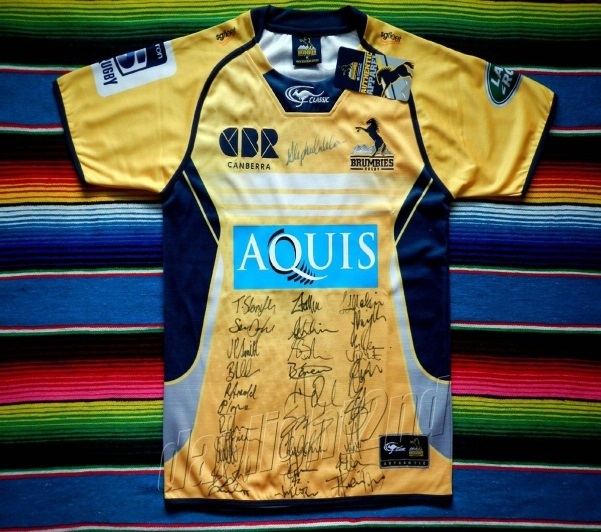 The highest pre-bid will be set against the item at the commencement of the auction on the night. Inquiries to auction.maristrugby@gmail.com or call John Toohey on 0428819660. · Section Two items: 9:45pm. To enter a silent bid write your name and mobile phone number on the item’s bid sheet in the next available space. A valid bid will exceed or match the minimum raise stated on the bid sheet. Silent auction bids will be void if a minimum raise is not met and the item will be awarded to the highest valid bidder. Once a valid bid is entered, the Club will hold the bid as binding. If a bid is made by proxy on the night, the item will be held against the proxy. No bids will be permitted after the table section has closed. Values set on donated auction items are the donor’s estimate. Payment for the item will be required by Wednesday 26 August 2015, in full via the Club website (PayPal or Bank Deposit - account details in the Ticketing section near the top of this page). The Live Auction will commence at 8:30pm in the venue commencing with relevant pre-bid or the minimum set price. 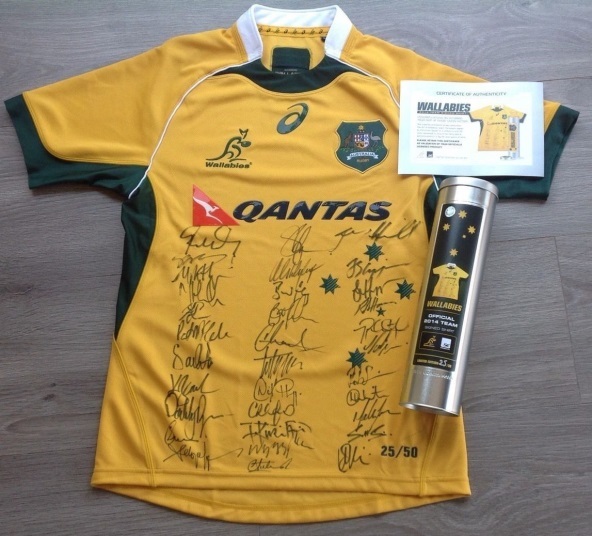 All bidding parties not in attendance will be notified of their winning bid by email by Monday 24 August 2015. 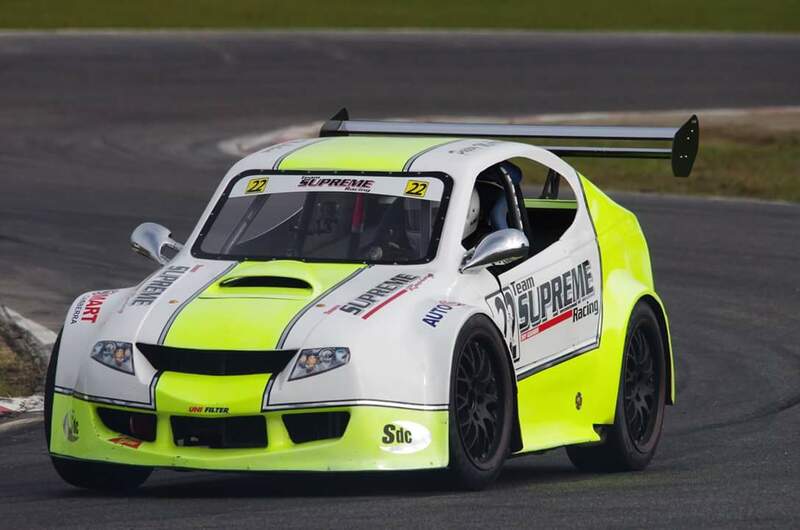 An opportunity for two to be part of the Team Supreme pit crew at the next Miniature race car meeting at Wakefield Park Raceway, Goulburn 21 & 22nd November 2015. These Future Racers are single seat cars with 1300cc Hayabusa motorcycle engines that reach speeds of over 200kms/hr. The lucky winner will get to hang out in the pits with the drivers and other crew members and assist in preparing the cars before and after each race. Prize includes travel to/ from raceway, lunch, entry and race photo with the crew and cars on Pit Straight. Stephanie’s Boutique Lingerie has been providing Canberra with Beauty and Comfort since 1991. Stephanie’s believe that beautiful garments, well fitted should provide skin soft comfort that lets you be yourself. The team invites you to experience the personal satisfaction that comes from confidently wearing some of the world’s most elegant and best quality lingerie. 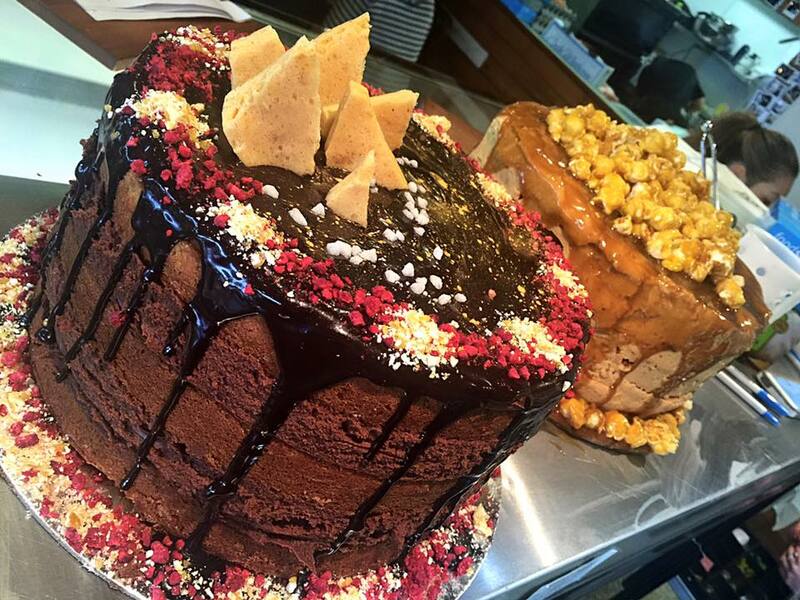 Patissez: ‘The Shake and Cake Lords Shop’ is taking Canberra by storm. People are lining up to taste these great delights, and we are lucky to have five beautiful cakes/desserts on offer. A great way to finish your meal or anchor a decadent meal or tea party! 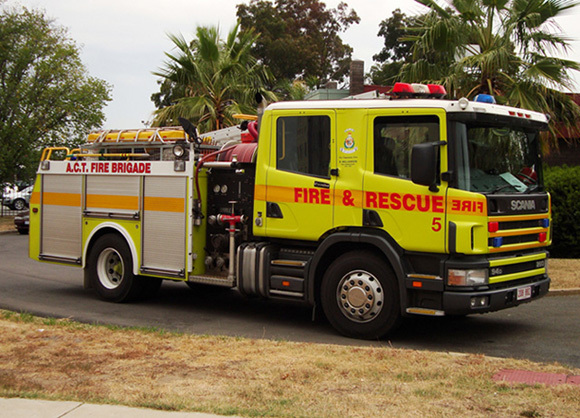 ACT Fire Brigade will turn up at your home to fit a new smoke alarm. They will arrive in a fire pumper truck and show your family and friends the truck during the visit. John Hanna has been serving the Canberra market for more than 3 decades. The John Hanna team can give you the tools you need to dress to impress. The team work closely with their tailors to ensure your suit or casual wear fits you perfectly every time. A full day of guided fly fishing and instruction for two by Mark Bulley. The day includes transport to and from a snowy lake or river, all fishing gear, flies and lunch. 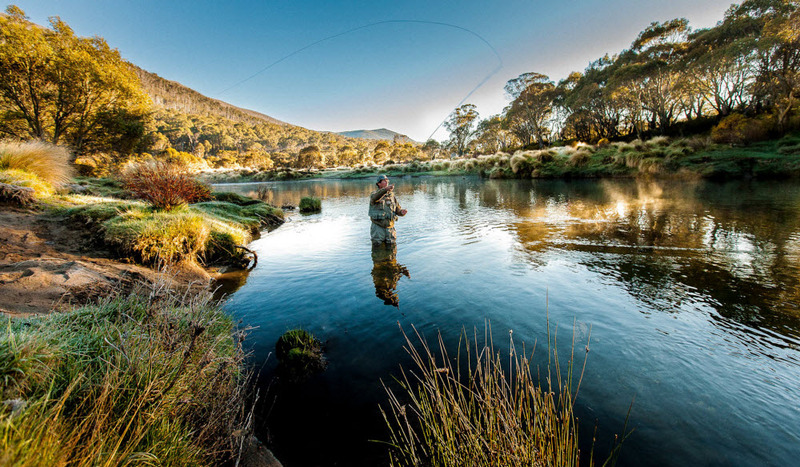 Mark has represented Australia 3 times at international fly fishing competitions. He came 2nd in the 2011 Oceania championships and was N.S.W. State champion in 2014. From novices to experienced anglers it will be a great day on the water in some of Australia’s most spectacular fishing spots! BentSpoke Brewing Co is a world-class micro-brewery, tap-house and restaurant located in the heart of Braddon. Draughters membership entitles you to discounted beers and ciders, exclusive access to the latest BentSpoke news, special offers, and events such as first tastes, and brewer talks. We’ll even shout you a beer on your birthday.